The Defense Department made an announcement on Thursday that it had signed a $9.2 billion contract with Boeing for building a new fleet of Air Force aircraft for combat training. The new contract marks the biggest military aircraft procurement for the Chicago-based aerospace giant in years. The Department is planning to buy 350 T-X aircrafts from Boeing to replace its 57-year-old T-38C Talons. The momentous task is expected to complete by 2034, according to statement by the Air Force secretary, Heather Wilson. She underlined the cost saving aspect of the multi-billion dollar deal, adding that the award has helped bring down the program’s cost from the initial estimate of $20 billion. The service had been meeting with a number of international joint ventures from Sweden, Italy and Korea, all of whom were contending for the prestigious opportunity. 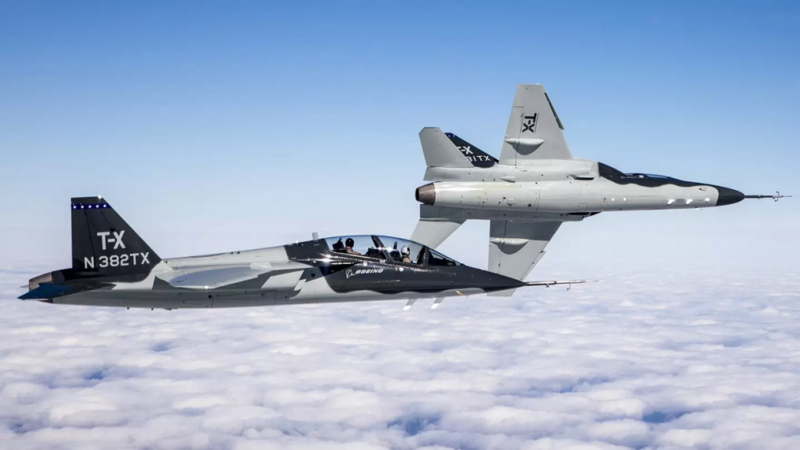 Wilson wrote in her statement that the 350 T-X aircrafts will provide future Air Force pilots the advance training capabilities to enhance the effectiveness and lethality of the service. She also noted that the Air Force will save over $10 billion after the completion of the T-X program. The deal the one of the biggest in the history of Boeing’s defense division in Arlington, Virginia and marks a new milestone of success for the aerospace company. Despite Boeing’s status as the most dominant supplier in the commercial aircraft business, its defense department has been outplayed by emerging rivals like Lockheed, which specializes in manufacturing fighter planes including the F-35 Joint Strike Fighter. The company is by far the biggest defense contractor, making over $50 billion from U.S. contracts last year alone. In comparison Boeing made less than half that amount during the same period. The company faced a major setback in 2015 when it failed to make a deal for the manufacturing of B-21 bomber planes and the opportunity was given to Northrop Grumman instead. But the aerospace company has made a comeback this year with a string of successful military deals that have strengthened its foothold in the defense sector. Last month, U.S. Navy awarded Boeing with a $805 million contract to build next-gen drones called MQ-25 which will facilitate refueling of fighter jets while they’re still flying. Earlier this week, it won its second $2.4 billion foothold with the Air Force to replace the entire fleet of aging UH-1N helicopters. 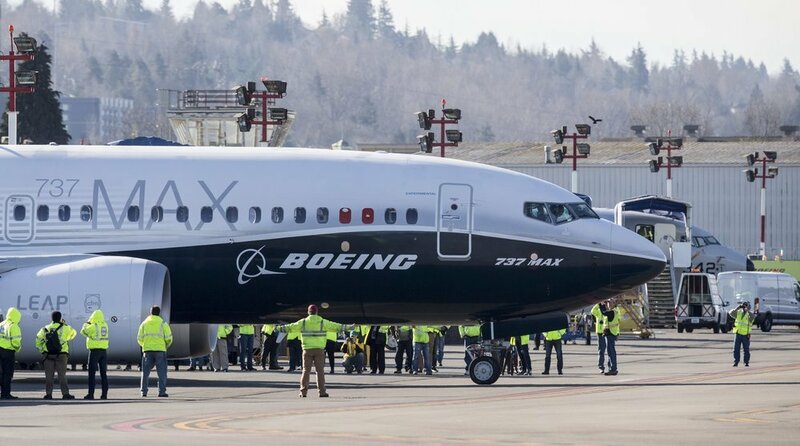 Boeing has so far spend millions on research and development, and is the only competitor in the industry to design the entire plane from scratch – with some help from the Swedish manufacturing company, Saab. The amount Boeing has spent on R&D raised the stakes for future military projects. If the company hadn’t been awarded Thursday’s $9.2 billion contract, it could have sunk its R&D capital and lost the investors’ trust. The company’s executives finally breathed a sigh of relief after Thursday’ win. The CEO of Boeing, Leanne Caret, said that years of unfaltering effort by Saab and Boeing’s teams have finally come to fruition with the success of the contract. Caret took over the chief executive position in 2016 as part of the company’s effort to streamline operations, redesign the organization and eliminate upper management layers. 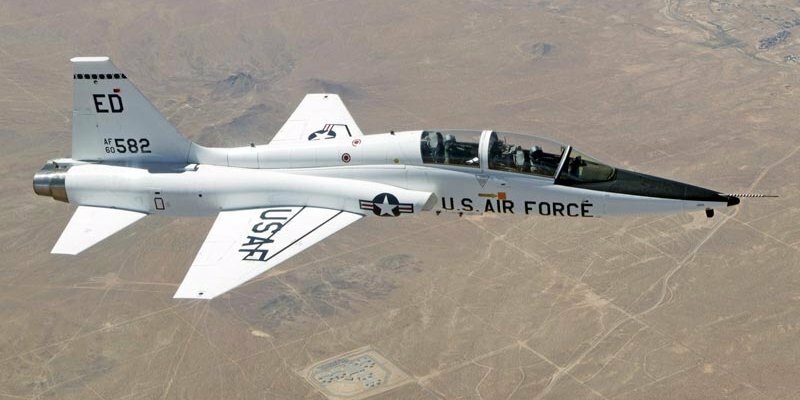 Lockheed Martin was also considered for the contract, and the contender partnered up with Korea Aerospace Industries to pitch a modified version of its older T-50A plane. Air Force declined because the plane is already being using in countries like Iraq, Thailand, Korea and Indonesia to train pilots. Leonardo DRS, the second-major contender for the award, also suggested modifying its older T-100 trainer models. The company issued a statement after Air Force’s announcement, voicing its disappointment over losing the amazing opportunity. Lockheed Martin’s spokesman also said that they offered a viable solution to the project and are disappointed to find out that they weren’t chosen for the project. Both runner-ups await Air Force’s debrief in order to learn more about the reasoning behind their decision.